Yep, to get the full effect of our town’s No. 1 magazine, you should subscribe to the real-life, hard-copy edition! Published twice a year in winter and summer editions, Sandpoint Magazine is our town’s leading publication, loaded with top-notch journalism, complete information on upcoming events, dining, lodging, attractions and more. A one-year subscription is only $12. Issues are mailed in May and November. Subscribe online: Follow the link to Keokee Co. Publishing’s General Store to subscribe online or email us. Subscribe by phone: Call the Keokee Co. Publishing offices at 208-263-3573 or 800-880-3573 to order using your credit card. MC and Visa accepted. 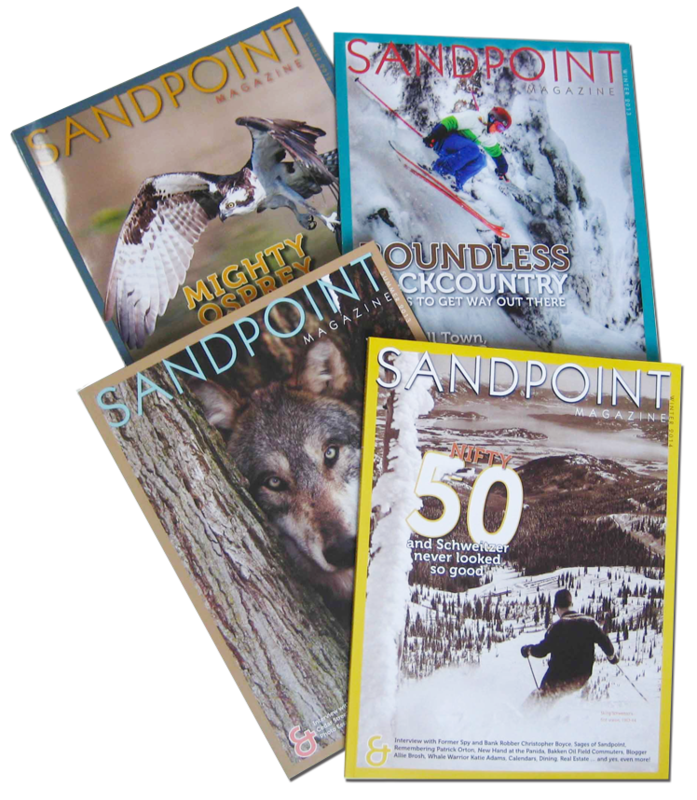 Subscribe by mail: Send a check for $12 to Keokee Co. Publishing Inc., 405 Church St., Sandpoint, ID 83864. Please specify the issue you would like to start with.